Another year and another list of interesting and innovative archaeology exhibitions around the World. While many museums and galleries have yet to announce their temporary exhibitions for 2016, as I write this overview at the beginning of January the list is already quite impressive – click here to see for yourself. 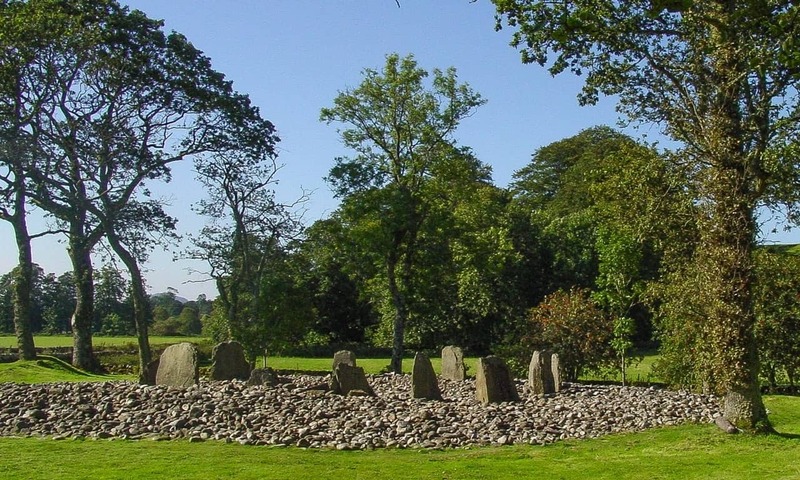 Besides the usual travelling exhibitions that have been doing the rounds, a number of exhibitions have been specifically curated for to commemorate specific events and anniversaries or to celebrate the archaeology of specific areas. Here I highlight five of these temporary archaeology exhibitions that would be the five I would visit. My bucket list of special exhibitions for 2016 if you like. Two I will definitely visiting, watch out for my reviews. 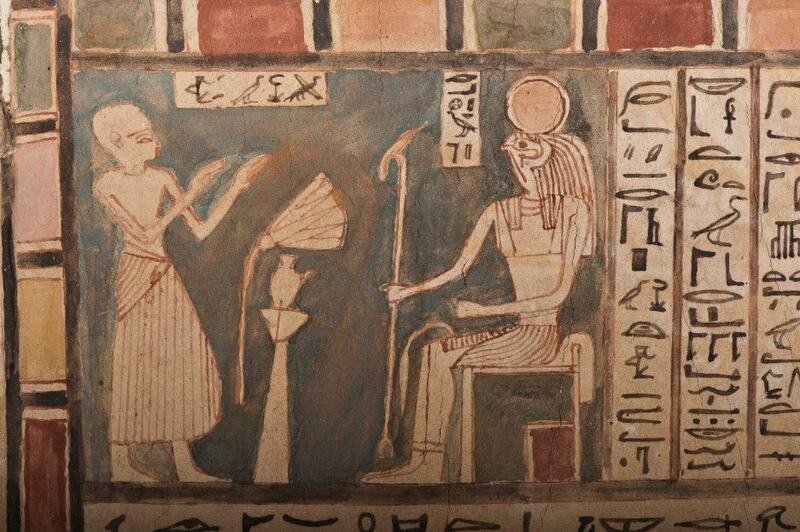 Did you know there are over 200 collections of artefacts from ancient Egypt scattered about the United Kingdom? Beyond Beauty will bring together objects from just seven of these – all regional museums. Some of the objects on display will be re-united for the first time since their excavation by Victorian archaeologists. Finds from a single archaeological excavation were often separated and scattered about the country – usually to individuals and institutions who contributed to the funding of the excavation. And it is the interesting histories of these objects that will form part of the story of the exhibition. With artefacts covering four millennia of Egypt’s past, from 3500 BC to 400 AD, the exhibition will focus on the importance of appearance in the afterlife. One of the highlights of the exhibition is surely the exquisitely decorated cartonnage mummy case created for a chantress named Shebmut. But it is not just the familiar objects that are included. There will also be much more seemingly mundane artefacts, including jewellery and cosmetic cases, sandals and textiles, canoptic jars and guilded mummy masks. All of which come together to demonstrate how seriously ancient Egyptians regarded bodily image, both in life and death. 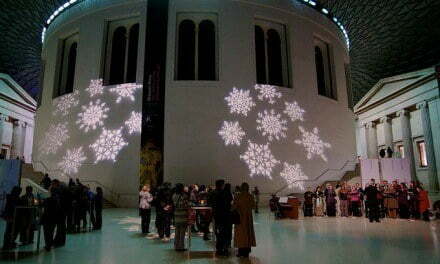 The seven participating museums are: Touchstones Rochdale, Brighton and Hove’s Royal Pavilion & Museums, Macclesfield Museum, Ipswich Museum, Bolton Museum, Bexhill Museum and the Drawn Bagshaw Museum in Kirklees. Definitely a rare opportunity for those visiting the capital to see objects that are usually in far flung centres of the country, and not all of which are on display. During the exhibition the gallery will be hosting a range of cultural events suitable for both adults and children; for details, see the website. With over 350 artefacts on display, Fragments of Humanity not only tells the story of 50 years of archaeological discovery in Québec, it is the first major exhibition of this Canadian province’s 12,000 year history. Over 15 lenders have contributed pieces from all periods of Québec’s past for what is surely going to be one of the more interesting archaeology exhibitions in Canada in 2016. Not only have some of these objects never been on public display before, some have been restored specifically for the exhibition. One of these special artefacts, and a highlight of the exhibition, is a 15th century dugout canoe, made from a single piece of wood. The dugout was discovered in a lake by amateur divers in the 1980s, and as a result of careful excavation and subsequent restoration is today the finest of all known prehistoric Amerindian canoes in Québec. The dugout is, however, just one of a number of prehistoric artefacts that tells the story of what life was like in Québec before the arrival of Europeans. Amerindian life in Québec before Europeans is one of four sections that make up the exhibition. The second section deals with trade between Europeans and Amerindians. Also covered are the commercial activities that began in the 16th century by various communities from France, including the Basques, Normans and Bretons. The third section details what life was like in Québec during the 18th and 19th centuries. The final section focusses on the marine archaeology of Québec, in particular the testimonies of artefacts recovered from five shipwrecks. The Terracotta Army ranks up there as one of the most spectacular archaeological finds of the twentieth century. And not surprisingly, touring temporary exhibitions of these ancient warriors and horses make very good box office for museums around the World. 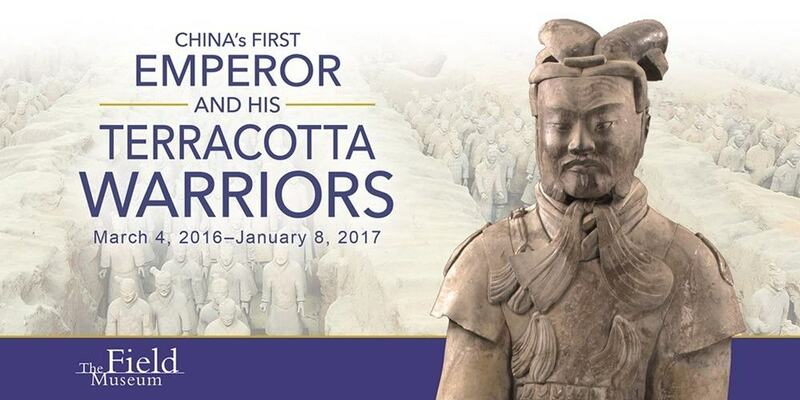 This year, the Field Museum is the only venue where the travelling Terracotta Army can be seen in the United States of America. In all ten terracotta figures, including a horse, will be on show. Just in case you think there will not be much to see, also included in the exhibition are 170 related artefacts, made of bronze, jade, ceramic and stone. And, the temporary exhibition makes a great companion to the Field Museum’s recently opened Cyrus Tang Hall of China permanent exhibit, which showcases 350 pieces from the museum’s vast collection of over 33,000 Chinese artefacts. Six of an estimated 8,000 terracotta figures were last seen in Chicago in 1980, six years after the discovery of Qin Shi Huang’s mausoleum. Only one of these, a representation of a general, will return in 2016. The exhibition’s curatorial team have been able to hand-pick some of the finest and more unique pieces for Chicago, some of which have not even been on public display in China. Of the terracotta figures, the General will be joined by an infantryman, a kneeling archer, an armoured standing archer, an armoured charioteer, a cavalryman, a stableman, a horse, as well as a civil official and an acrobat. Of all the Roman emperors, few others are as mythologised as Nero. His reign has been described by some historians as tyrannical, and exhibiting great personal extravagance. Others suggest that the popular image of Nero is greatly exaggerated, if not incorrect. Unfortunately because of the lack of reliable, contemporary historical sources, a more accurate account of his reign continues to elude us. This summer, a series of coordinated exhibitions in Trier will explore the facts and fantasies that surround one of Rome’s more intriguing rulers. The three exhibitions will each explore different facets of Nero’s life and legacy. The Rheinisches Landesmuseum draws on over 400 objects from museums in Germany and abroad to examine Nero’s rise to power, his reign and his violent demise. With new and extensive biographical research, this exhibition will present the emperor, whose name is often associated with megalomania, cruelty and extravagance, in a new light. Nero’s decadence and inhumanity has long been the subject of artists, a theme that will be explored in the exhibition at the City Museum Simeonstift. 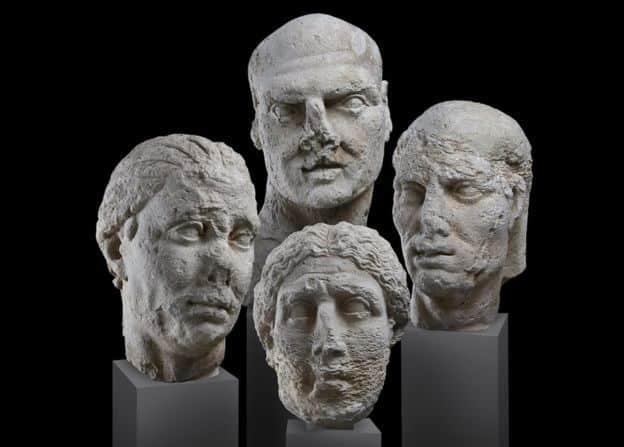 One display will be some of the earliest surviving representations from the Middle Ages as well as a range of more recent representations of Nero, including paintings and photographs, film and theatre costumes. The Museum am Dom takes Nero’s persecution of Christians and his alleged execution of the apostles Peter and Paul as a point of departure to examine the concept of Christian martyrdom more broadly. Using archaeological artefacts and historical representations ancient pogroms are juxtaposed with current examples of Christian persecution. Together these three exhibitions are the first to examine critically the life and legacy of Emperor Nero. 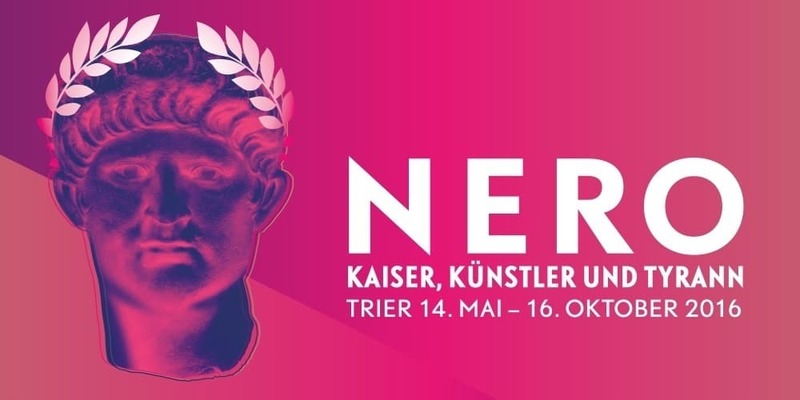 Practical details can be found on the exhibition website, or follow the event’s page on Facebook: Nero In Trier. 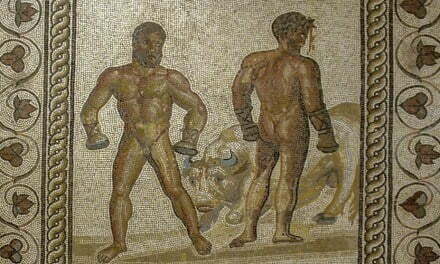 Sicily has been at the cross-roads of the Mediterranean for millennia. The Phoenicians, Greeks, Romans, Arabs and Normans have all left their mark on the island, and in the waters around the island. 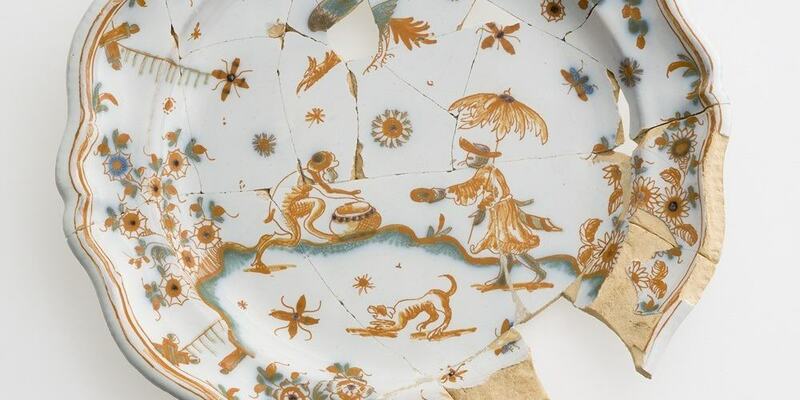 In a wonderfully innovative summer exhibition, the Ashmolean will be presenting the history of Sicily as told through artefacts rescued from the sea. Some of these were chance finds on the surrounding seabed, others were recovered during the excavation of shipwrecks. One of the highlights will surely be what the media has dubbed the ‘flatpack church’. To facilitate the spread Christianity the Byzantine Emperor Justinian (482-565 AD) had prefabricated marble church interiors shipped around the Empire – including to communities in Italy and north Africa. Not all of these made it to their destinations, sometimes the ships would sink in storms. Remains of prefabricated churches can be seen in Ravenna (Italy), Cyprus and Libya. In the 1960s Gerhard Kapitan, a German marine archaeologist, recovered a number of marble objects from a wreck off the southeastern coast of Sicily. The objects included columns with their Corinthian capitals and bases, choir-screen slabs and pieces of a pulpit. Storms, War and Shipwrecks will bring together over 200 objects, all once scattered about on the ocean floor around Sicily. The Greeks – Agamemnon to Alexander the Great, Field Museum (Chicago, USA), ends 17 April 2016; National Geographic Museum (Washington, DC, USA), ends 9 October 2016. Viking Voyagers, National Maritime Museum Cornwall (Falmouth, England), ends 22 February 2017. There is also a Viking exhibition at the Canadian Museum of History (Québec, Canada), which ends 17 April 2016. These are just 10 temporary archaeology exhibitions that grabbed my attention from a list of many, many more. For a more complete list of temporary archaeology exhibitions in art galleries and museums around the World, Click Here. PreviousIs Benwell Roman Fort on Hadrian’s Wall Worth a Visit?